If you snore, are tired all the time, find or are told that you stop breathing while sleeping, or frequently wake up with headaches, you may be suffering from sleep apnea. Addressing it will give you (and your partner) a better night’s sleep. It’s probably the best New Year’s Resolution you can make. Sleep apnea occurs when you stop breathing involuntarily while asleep. With untreated sleep apnea you may stop breathing hundreds of times during the night and often for a minute or longer. In most cases you are unaware of these breath stoppages because they don’t cause you to completely wake up. Over 18 million Americans, or 1 in 15 people, suffer from sleep apnea. Up to 4% go untreated. Another interesting fact: over 250,000 children have tonsillectomies annually and the reason they’re performed is because the tonsils obstruct their airways leading to sleep apnea. According to the American Sleep Apnea Foundation and the National Sleep Foundation leaving sleep apnea untreated can have serious and life-shortening consequences including high blood pressure, heart disease, stroke, automobile accidents caused by falling asleep at the wheel, diabetes, depression, mood swings and other ailments. If snoring isn’t reason enough to have your sleep apnea diagnosed, the other health impacts of waking multiple times a night should be. Sleep apnea is usually diagnosed through a sleep study conducted in a sleep lab. You stay overnight in a comfortable bed, with monitors on your head and body. Sleep technicians will monitor your sleep state, heart rate, airflow, blood oxygen levels and a variety of other functions while you sleep. The readings will help them to diagnose whether you have sleep apnea and its severity. Then a specialist will prescribe treatment. Fortunately, it is fairly easy to treat sleep apnea. A CPAP machine, (continuous positive airway pressure machine) is a mask that fits over the nose and/or mouth, and gently blows air into your airway to help keep it open during sleep. 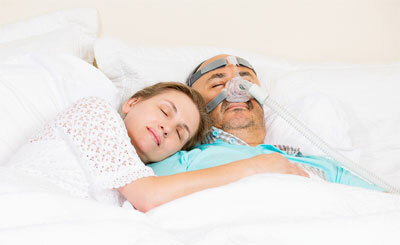 CPAP machines are very effective in treating sleep apnea and can be obtained with a prescription from your doctor. Many insurance plans cover the purchase of a CPAP. At BergerHenry ENT, we have one of the foremost experts in the field of sleep apnea, Dr. Donald Sesso. He is one of only six surgeons in the country to hold triple board certification in Otolaryngology, Sleep Apnea Surgery and Sleep Medicine. His extensive training at Stanford University Medical Center and years of experience have given him the expertise to offer every available treatment option for snoring and sleep apnea problems. Dr. Sesso is a strong believer that one surgical or medical solution does not fit everyone. Each treatment plan must be tailored to the patient based on specific physical exam findings, body mass index and sleep study test results. Dr. Sesso has the best understanding of these complex sleep disorders, extraordinary treatment experience with thousands of patients, and knows how to communicate a complicated problem in an easy-to-understand manner. If you are tired of being tired, and your partner is tired of your snoring, it may be time to investigate sleep apnea.